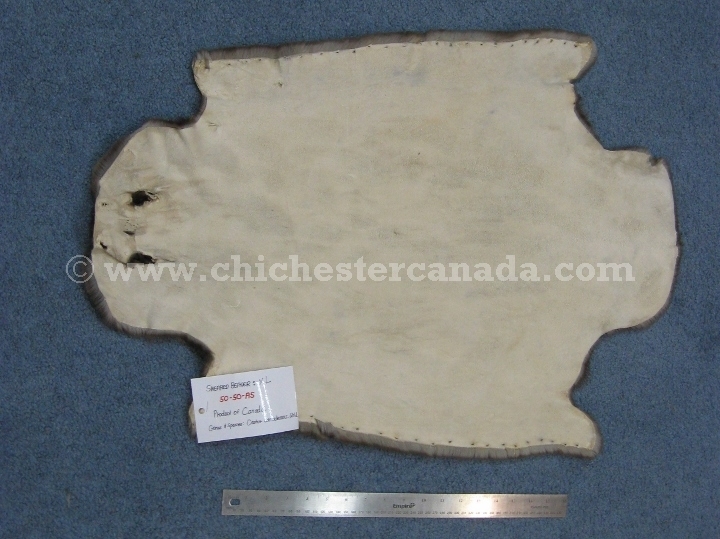 See the back of the sheared beaver rug and a size comparison with an 18" ruler. Please note that this current website does not have a shopping cart. To buy our Sheared Beaver Skins online, please go to our e-commerce website at NaturalExotics.ca. These are tanned beaver skins. Except for the beaver skins with tails, the beaver skins do not have tails. If you are trying to make something with the beaver skins (like a blanket or throw or pillows), please keep in mind that the useable size will be smaller than the maximum dimensions. Please do not hesitate to ask for help with measurements if needed. The #1 skins are very nice quality for decoration or for craft projects requiring the best skins available. They do not have any significant imperfections. The craft grade skins are soft and supple and are ideal for cutting up for making trim on garment or other crafts. Expect some significant holes, rips, tears, or bald spots. If you are looking for a wonderfully comfortable rug to put your feet on while working at your desk, try a sheared beaver skin. Sheared beaver has a truly decadent feel to it. All of the long guard hairs have been removed and only the dense underfur remains. Each skin is slightly different in shape and dimensions - some are more oval while others are rounder. These beaver skins have been machine sheared. They have not been hand-plucked. Beaver are not endangered and are not subject to CITES controls. They are very common in Canada and parts of the United States. The sizes shown below are for tanned beaver skins and are approximate. The extra-large skins are also commonly known as blanket beavers because of their sizes. Small 18"-19" 13"-14" 1 lb. Medium 20"-24" 12"-16" 1.34 lbs. Large 25"-30" 16"-18" 1.5 lbs. Extra-Large 30"-36" 18"-20" 2 lbs. 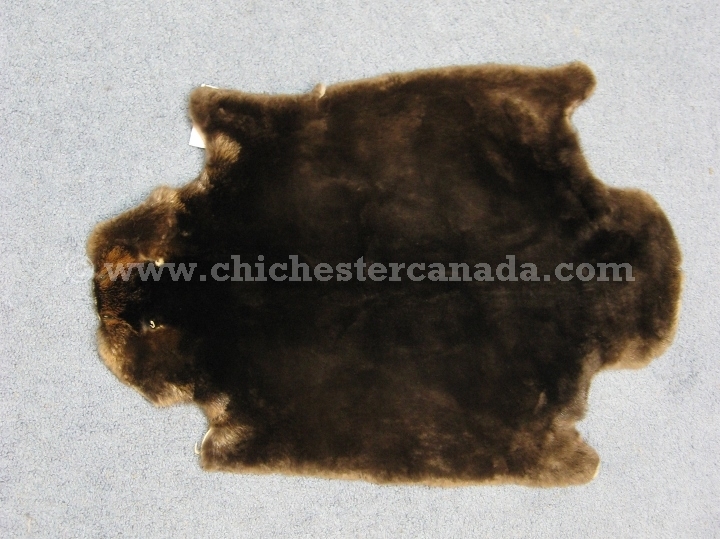 The sizes shown below are for sheared beaver skins and are approximate. Please inform us if you have a size preference and we will do our best to accomodate it. Assorted 27"-34" 18"-25" 0.80 lbs.